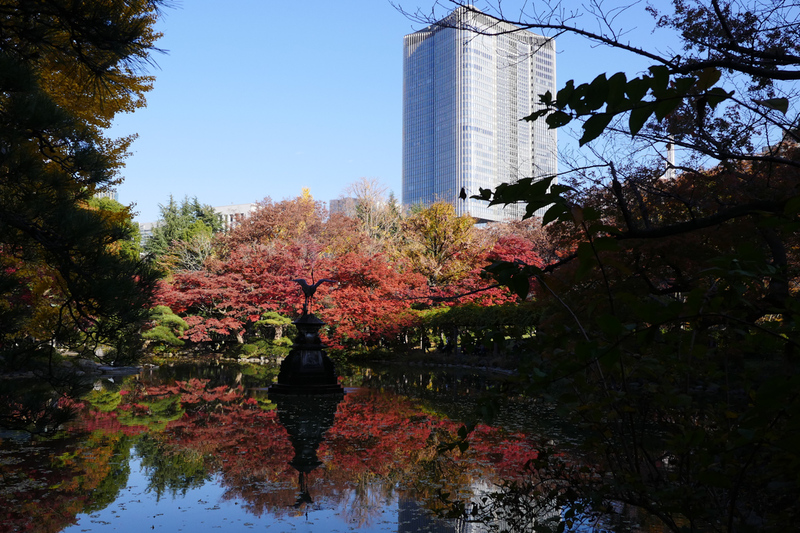 The scenery of the four seasons seen in “Hibiya Park” – located in the center of Tokyo – is astonishing. 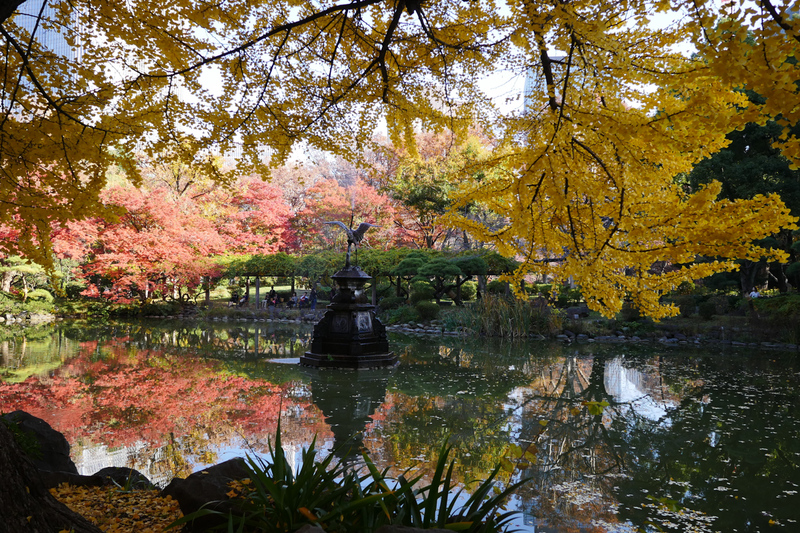 Beginning with the cherry blossoms in spring, the dark green of the trees in summer and the colorful autumn leaves invite visitors on a refreshing stroll through the park. 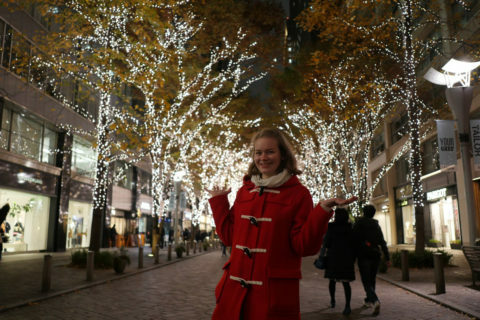 Also, there are many fun events throughout the year at Hibiya Park. Don’t miss this energetic oasis! 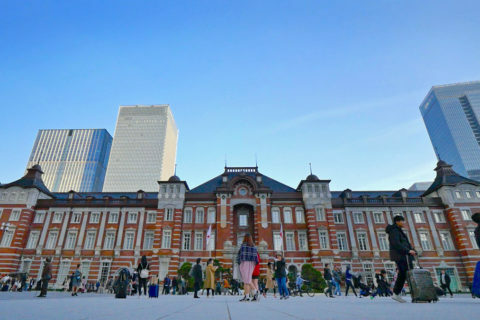 Hibiya Park is Japan’s first western-style park. This modern park opened in 1903. Its trademark is the big fountain. 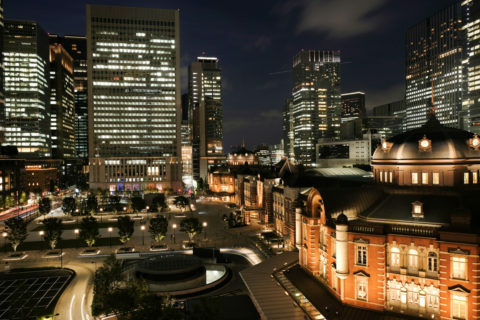 With 161,636 square meters, Hibiya Park is quite large. The atmosphere differs depending on the area of the park – so it is highly recommended to stroll through various areas! Enjoy the flowers and greenery of every season including western-style roses, Japanese style cherry blossoms, and the pretty yellow ginkgo leaves. 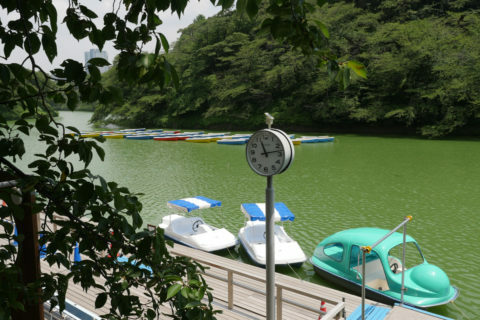 Also, the park offers a tennis court and a famous restaurant called “Matsumotoro”. 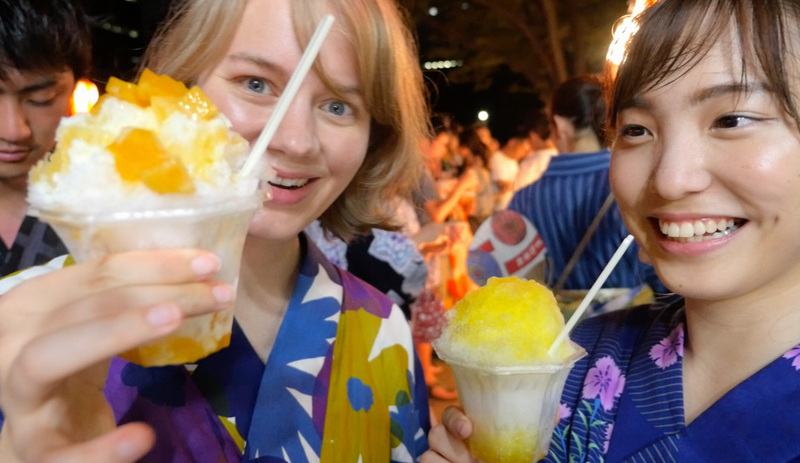 A lot of fun events take place at Hibiya Park. 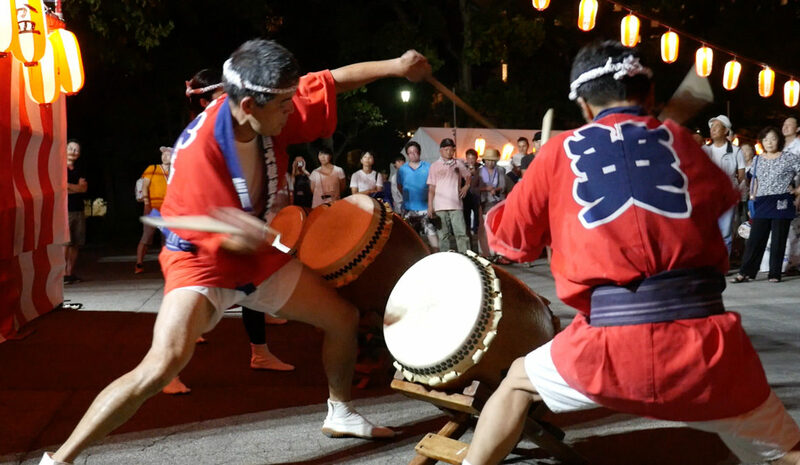 In summer, “Bon Odori”, a traditional Japanese dance festival, is held. Locals and foreigners dance to the nostalgic music around the big fountain. Watching people wearing their colorful yukata (summer kimonos) and listening to the drum players at the “yagura” stage make this event unforgettable. 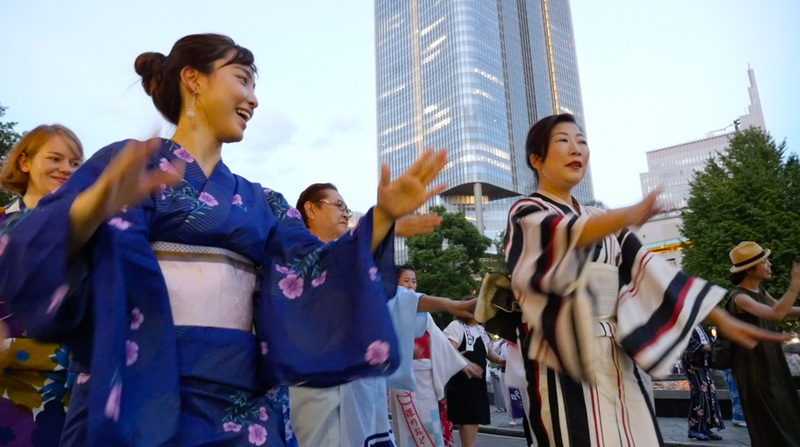 There are many different dances at a Bon-Dance, but the dances with their repetitive moves are easy to learn. Just try to imitate the people surrounding you. 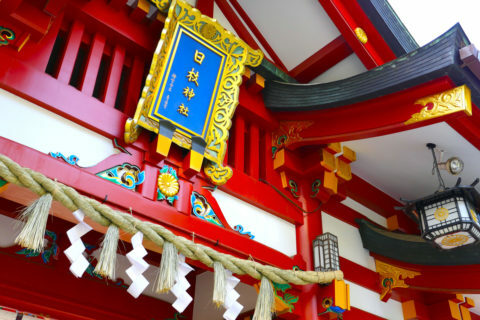 It is one of the largest Bon-Dances in Tokyo. Anyone can join and participate, so please come and dance with us! At Hibiya Park, music and food events are also held. 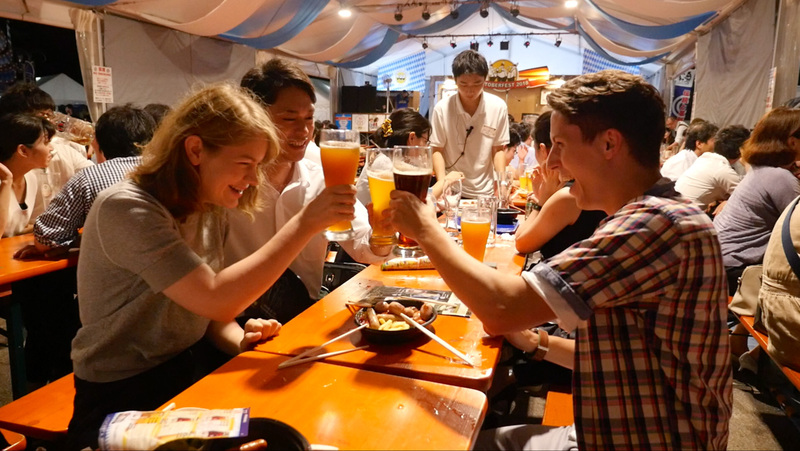 In addition to a beer festival, popular “local gourmet” (specialties from different regions throughout Japan) events also take place from time to time. Perfect if you want to try delicious dishes you have never seen before. 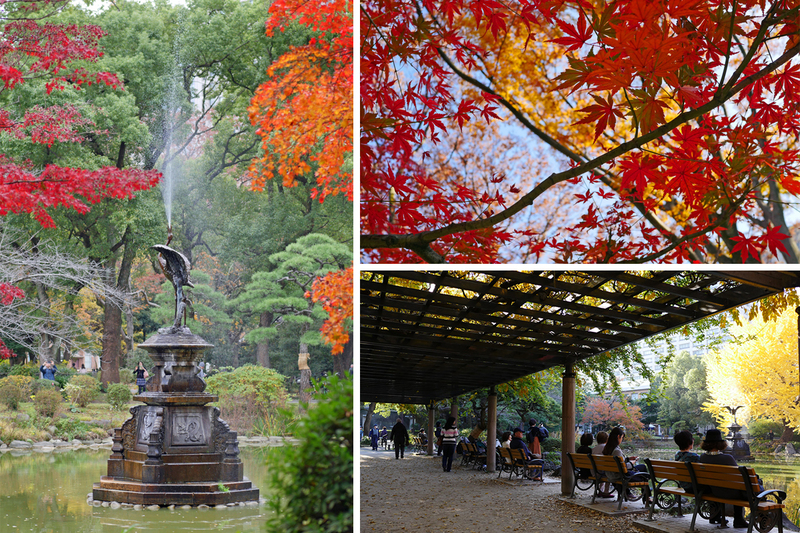 From late November to early December, Hibiya Park will turn into a sea of beautiful autumn leaves. Especially the area around “kumogata-ike” pond (the “cloud-shaped pond”) is amazing. The cute bridge and the crane-shaped fountain there are beautiful photo spots. 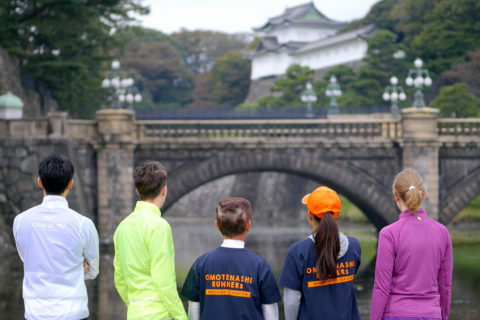 “Hibiya Park” is a wonderful park not only for relaxing but also for joining fun events. It’s a great place to visit – so please come by! Previous PostA visit to “Kitanomaru Garden” – This is where you’ll find your new favorite museum!